The Impact of Obesity on Your Feet | Podiatry Associates, P.C. For a “taboo” subject, people talk a lot about weight. Everywhere you can find ads for different diets, ads for gyms, ads for weight-loss shows, and so on. Everyone knows America has a problem with obesity—as of 2014, more than two-thirds of American adults were classified as overweight or obese. Most people realize the heart risks associated with the problem, too. What many don’t realize is the affects that excess weight has on the feet, or how it contributes to foot pain. 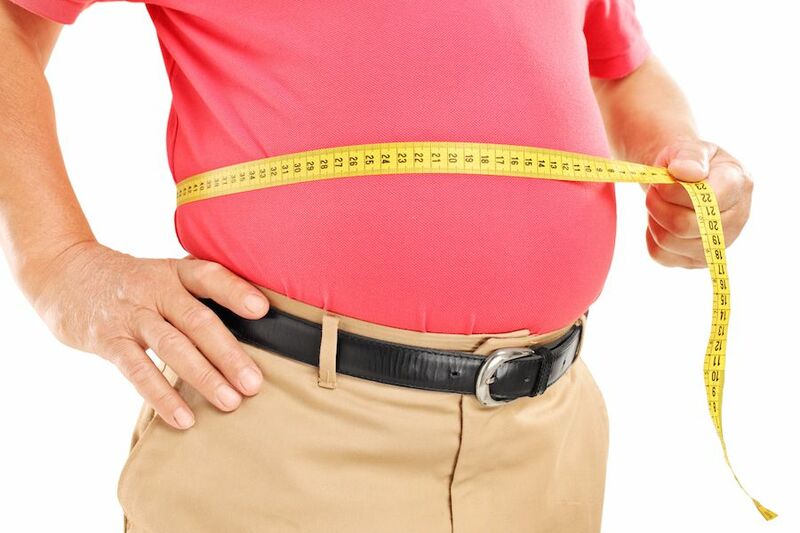 Unfortunately, being overweight is a health problem for your lower limbs as well as your heart. Excess weight stresses your joints, bones, and connective tissues. You become more prone to inflammation and overuse, like plantar fasciitis. Tendon problems of all kinds are a much higher risk, since your feet have to work harder to keep you upright and move you forward. The stress on the bones can wear away their protective layers, contributing to osteoarthritis. Extra weight can change your posture, too, straining the feet and making them more susceptible to overuse. This is especially common in the forefoot and arch. Extra weight presses down on the arch, flattening it out. The pressure from standing and walking gets distributed to the ball of your foot. Over time, this can contribute to metatarsalgia and other ball of the foot problems. The issue is often connected to systemic diseases like diabetes and gout as well. Diabetes can lead to a whole host of problems, from neuropathy to ulcers. Gout is an unusual type of arthritis that’s connected to the food you eat. Blood vessel damage like varicose and spider veins are a lot more common in overweight people as well. It’s hard to address weight issues, but since they can have such a negative impact on your life, including your foot pain, it is something you need to face. If you’re struggling at all to manage your weight, don’t give up or try to muddle through on your own. Let our team at Podiatry Associates, P.C. help you take care of your lower limbs and your body as a whole. Make an appointment at our Castle Pines or Parker, CO, offices today. You can reach us online or by calling (303) 805-5156.